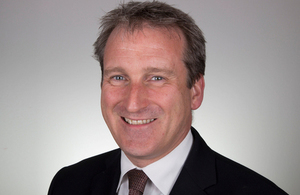 Selective schools are to introduce a range of measures to improve access for disadvantaged children after being given permission to expand, Education Secretary Damian Hinds announced today (Monday 3 December). "One of the stand-out features of this country’s education system is its diversity, and selective schools are an important part of that. They include some of the best schools in this country, with almost all selective schools rated Good or Outstanding, and they are popular with parents. So it is right that when there is need for more places in an area, these schools should be able to expand – as other schools can – to enable as many children as possible to benefit. "I have always been clear that selective schools will only be able to expand if they meet the high bar we have set for increasing access for disadvantaged children, and all of these schools have done that. As a result, countless more children from disadvantaged areas will benefit from places at outstanding schools." "We are delighted that selective schools are being supported to expand. It is really important that, just like other good and outstanding schools, they are able to expand to meet parental demand, especially at a time of significant growth in the number of pupils reaching secondary age.